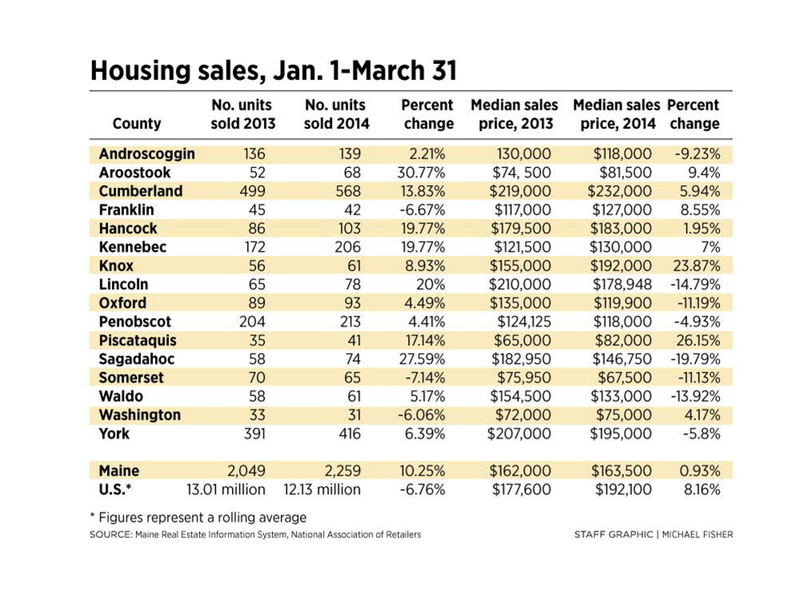 While sales in Maine outpace those nationally, bargain-hunting buyers push the median sale prices down. Home sales in Maine increased 12.6 percent last month, continuing a year-long stretch of rising sales and bucking a drop in sales nationally. Maine Listings, a subsidiary of the Maine Association of Realtors, said 892 homes changed hands in the state in March, compared with 792 homes in March of 2013. Maine’s residential real estate market has been improving steadily, with the strongest activity in the Greater Portland market. Statewide, the number of transactions has increased every month since February 2013. Prices had held steady or risen every month from July 2012 until this March, according to Maine Listings. The median sale price fell to $162,000 last month, from $170,000 a year earlier. 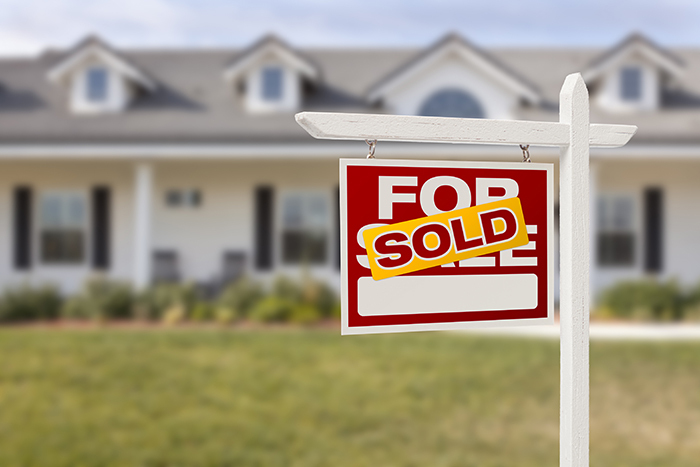 Half of the homes sold for more, while half sold for less. “We’re seeing a lot of first-time home buyers and more activity overall, but there’s a bit of cautiousness not to overpay for a house,” said Bart Stevens of Century 21 Nason Realty Inc. in Winslow. Tina Lucas of Lucas Real Estate in Portland said the Greater Portland market has many investors buying foreclosed properties with the intention of reselling them, and buyers looking for their first homes. That combination of price-sensitive buyers is keeping the median sale price down. Ed Gardner of Ocean Gate Realty in Portland said buyers are more educated and have more data available, so they are shrewder about pricing. Maine’s sales gains last month bucked a drop in home sales nationally and throughout the Northeast. “There’s a lot of second-home sales activity here. The second-home market is coming back sooner than we expected, and that has helped boost numbers,” Gardner said. According to the National Association of Realtors, sales of existing single-family homes fell 7.3 percent across the country last month. The national median sale price rose 7.4 percent, to $198,200. Sales in the Northeast dipped 4.8 percent, while the region’s median sale price increased 3.2 percent, to $244,700. Lawrence Yun, chief economist for the National Association of Realtors, said the national sales activity is weak by historical standards. Yun expects some improvement in the months ahead. “With ongoing job creation and some weather-delayed shopping activity, home sales should pick up, especially if inventory continues to improve and mortgage interest rates rise only modestly,” he said. According to the mortgage loan-guarantee corporation Freddie Mac, the national average rate for a 30-year, fixed-rate mortgage rose to 4.34 percent in March, from 4.3 percent in February. The rate was 3.57 percent in March 2013. Interest rates began to rise in late May on expectations that the Federal Reserve would slow its bond purchase program.